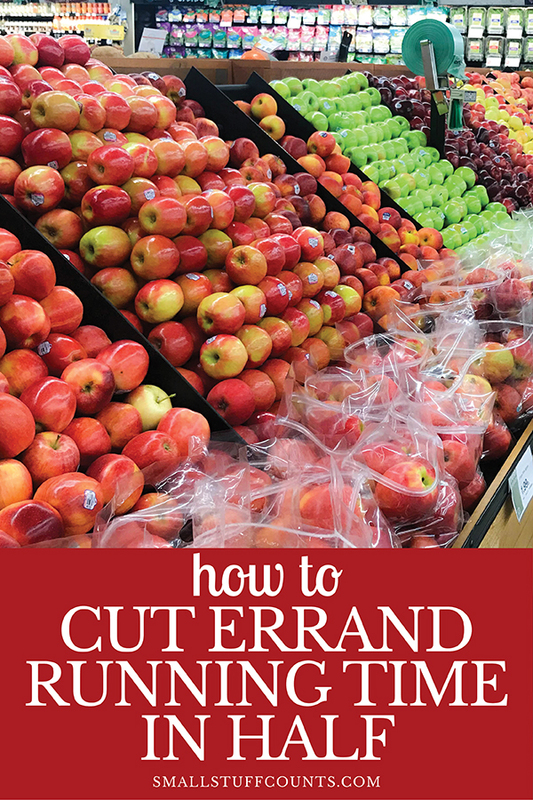 Want to cut your errand running time in half? Follow these quick tips to save time running errands and make your grocery shopping and Target runs a breeze. Tired of spending your entire Saturday running errands? After working all week, the last thing you want to do is spend time weaving up and down every aisle of the grocery store and zig-zagging across town to check off your shopping list. I’m always looking for ways to use my time effectively, and spending a huge portion of my Saturday shopping, loading and unloading dog food, toilet paper and cereal is not my idea of a weekend well-spent. So I started looking for ways to work smarter, not harder. 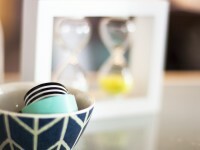 I’ve combined a variety of services and strategies to cut my errand running time IN HALF (and that’s a conservative estimate!). 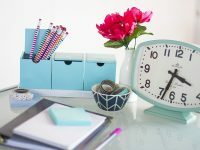 Today’s blog post is a compilation of all of my tips for spending less time running errands into this blog post so you, too, can start shopping more efficiently! Having an ongoing shopping list is a huge time saver. Although I love pen and paper, I swear by a digital shopping list. Create a list in a note on your phone, Google Doc, Evernote or one of the many grocery list apps. Then share that list with the rest of your household. Now, whenever anyone in your house uses the last of something or has a request, their job is to add it to that ongoing shopping list. This saves you time in so many ways! First of all, it ensures you can always access your list on your phone so you never forget it hanging on the fridge. 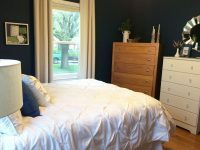 It also gives the entire family a convenient way to add things rather than relying on you to remember it all–if it’s not added to the list, it doesn’t get purchased! No more spending time creating a big shopping list because you are always adding to it as you go about your week (and deleting things you purchased from the list after you go shopping). David and I share an Evernote shopping list. 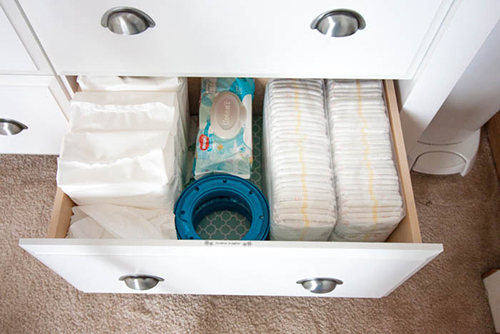 It has categories for each section of the grocery store as well as categories at the bottom for toiletries, household items and other errands. 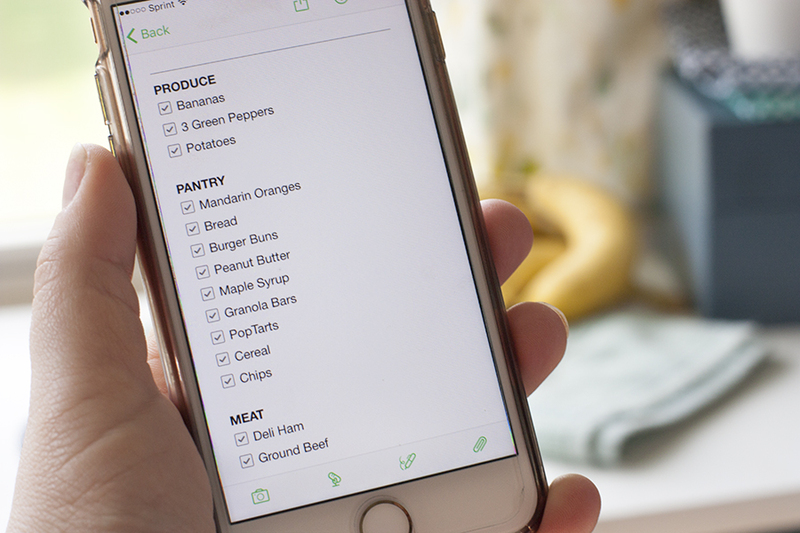 Read more about creating a digital grocery list in Evernote here. How much time do you waste driving across town to the store each week? Be vigilant about cutting back on the number of shopping trips you make. Do not, I repeat, DO NOT jump in the car and run to the grocery store for one little thing. By keeping an ongoing shopping list and planning ahead a bit, you can avoid those last-minute trips to the store. 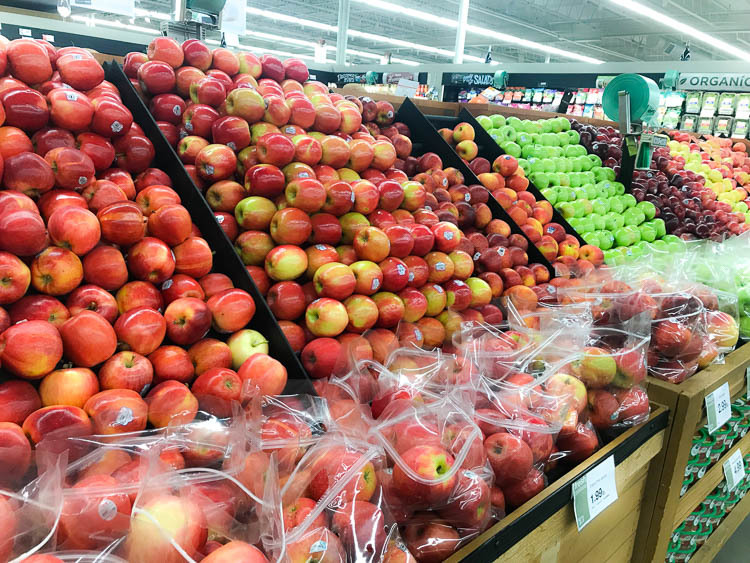 It may not seem like a big deal when the grocery store is only a mile away, but it still adds up to a lot of unnecessary time spent shopping. 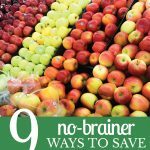 It’s also so easy to overspend your grocery budget when you make last-minute shopping trips. Also, consider the most efficient route for your errands. Combine them all in as few trips as possible and drive in the most efficient route to save gas and drive time. Along these same lines, try to limit the number of actual stops you make when running errands. 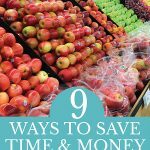 Buying postage stamps at the grocery store and filling prescriptions at Target are great ways to save time running errands by buying multiple things at one store. Do everything in your power to avoid the 5 o’clock grocery store rush. And steer clear of Sam’s Club and Costco during peak times on the weekend. If your schedule allows, run your errands during off hours when the store is much quieter and there aren’t big lines at checkout. It’s amazing how much faster you can get in and out when it’s not as busy! I’ve personally started to run all of our errands during my lunch break. My office is nearby a lot of shopping, so I can quickly run through Target or grab a couple things from Sam’s Club. I’ve also done quick Walmart stops on my way to work in the morning and it’s like an entirely different store when it’s not packed with shoppers and long lines! Whether you have a Sam’s Club or Costco membership or you just stock up on multiples of things from your usual store, consider buying larger quantities of your household staples so you won’t run out as frequently. You’ll need to have a place to store any bulk items you bring home, but definitely, stock up if you have the storage space! Having back-ups on hand of items will reduce the number of urgent trips to the store for that one random thing you ran out of. I couldn’t write this blog post without talking about online shopping. It’s such a big time saver! Explore options like Grove Collaborative for cleaning supplies and toiletries and Amazon for, well, basically anything. Place your order from your phone and computer and you’ll save the time and gas it takes to run to the store. As someone who works in an office all day, it’s super handy to be able to order things online during my breaks rather than stopping at the store after work or on the weekend. 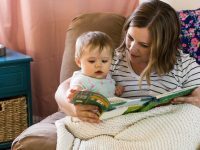 In addition to your usual online orders, there are also many opportunities to set up recurring shipments and subscriptions for your household staples. I’ve started to use Grove Collaborative for more and more of our non-food household items and love how easy they make things. They set you up with a recurring monthly shipment of your usual items so you never run out but you can easily skip a month or two when you don’t need anything. Everywhere from Target to Home Depot to my local grocery store, HyVee, offer this service. This definitely beats spending my time wandering every aisle of the store, which is especially handy in places like Home Depot when I’m not always sure where to look for things. And when it comes to groceries, I’ve been able to stay within my grocery budget much easier when I can see the exact total in my online cart before I place the order. 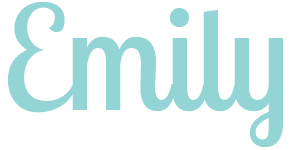 Look into delivery services for the stores you shop frequently. I can currently get free delivery from HyVee if I order more than $100 in groceries and commit to being home during a 4-hour delivery window. How awesome is that?! Even if you can’t get free delivery, paying a small delivery fee may be worth it to you for the time it saves you. I’ve never needed to stop at the bank often, mostly only to deposit the very occasional check. Thanks to my bank’s mobile check deposit service, I can simply upload a photo of a check to their app and, voila, it’s deposited! No more inconvenient stops at the bank and waiting in line. If you wait in line at the post office to mail a package, you should know there’s another way! If you know the weight and dimensions of your package, you can actually input those into the USPS website, pay the postage online and generate a printable shipping label. I always just try to round up on my weight estimate so I’m sure there’s enough postage to get my package where it needs to go. Once you create the shipping label, you can also schedule a USPS pickup for whichever date you’d like. You’ll be able to choose where to leave the package for the delivery driver (front porch, mailbox, etc.). 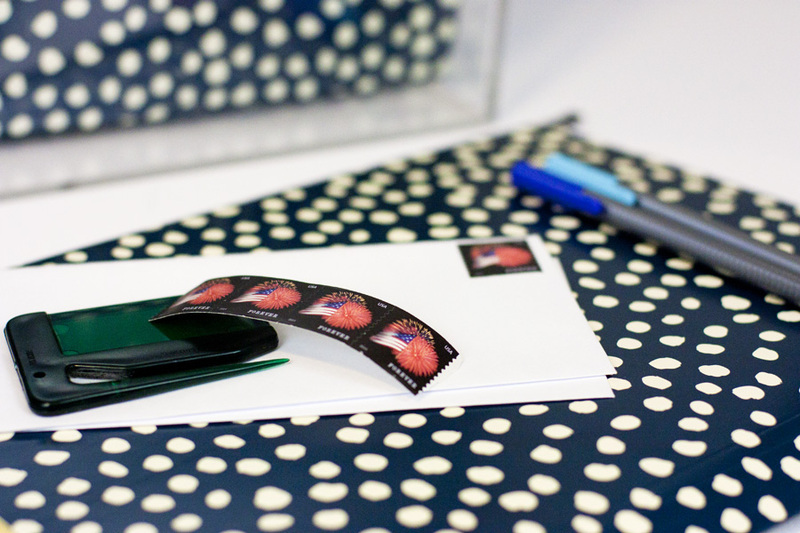 As for regular old stamps for envelopes, there are options for printing those online. I prefer to buy a roll of them that will last a long time (most grocery stores sell stamps so you don’t have to make a special trip to the post office). Can we just pause for a minute to be grateful to live in a world with curbside pickup and online ordering? Amazing, right?! Discover practical, easy-to-implement ideas for automating some of the recurring tasks on your to-do list. Subscribe to have the free guide sent straight to your inbox. Hooray! 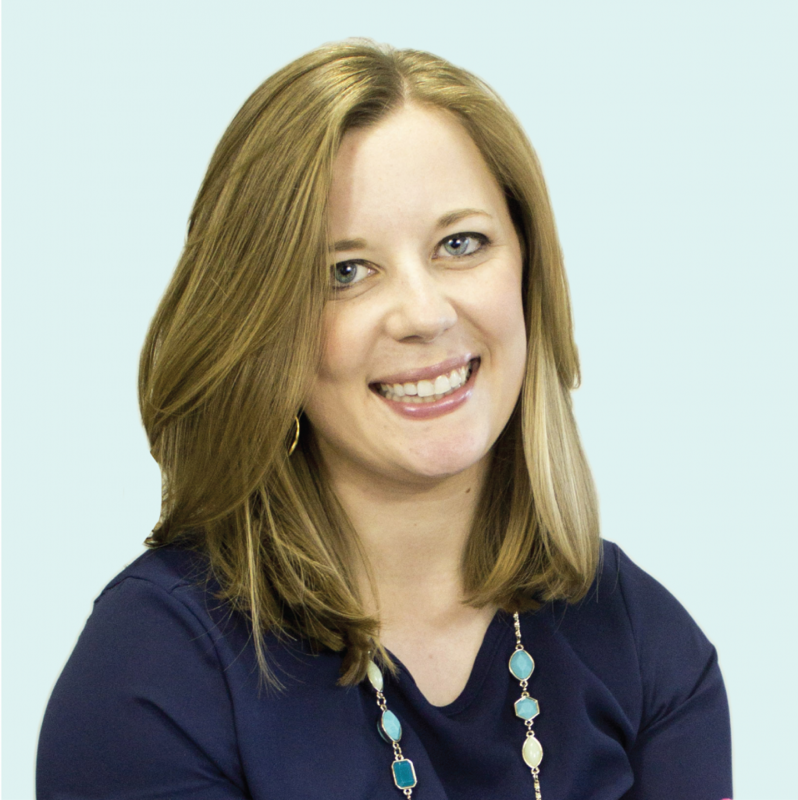 Your free guide is on its way to your inbox.